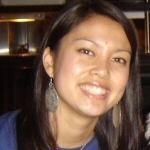 Allison Espiritu graduated from the University of Washington in 2007 with a degree in journalism. She has worked for a number of Seattle area newspapers including the International Examiner, OnePhilippines, the North Seattle Herald Outlook, and the Madison Park Times. Her feature stories have covered diverse topics ranging from alcohol awareness programs in the Seattle Middle School and the local impact of the Great American Smoke Out program to a discussion of the role of local restaurants in feeding the homeless. Allison is currently working at the Seattle Times as a News Lead Assistant.